Before getting into specifics about drug treatment of high blood pressure in people with kidney disease, I want to emphasize some general principles. • The lowest effective dose should always be used. It is necessary to start on a dose that will not be fully effective and to increase the dose gradually until you reach the lowest effective dose. Antihypertensive drugs all cause dose-dependent adverse effects, and unfortunately they often are prescribed in doses higher than necessary. • The ideal is a slow fall in blood pressure, not a rapid one. With a rapid fall in blood pressure, you may notice signs of reduced blood flow to the brain, such as weakness, fatigue, and dizziness on standing. • The goal is to reduce blood pressure throughout the 24-hour period. Taking your drugs at bedtime is not a good idea; you need to control your blood pressure in the daytime, as well, so take them in the morning. 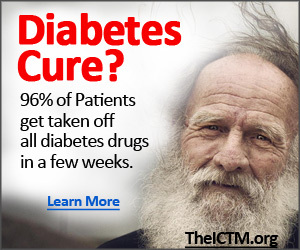 • Treatment works only if you take the prescribed medications. Research has found that only half of people with high blood pressure continue their medications after a few months. Just why this is so is uncertain. Part of the reason is because of side effects, which are numerous, but some people seem to quit for no apparent reason. • Blood pressure varies a good deal from day to day and in the course of a single day. Highest pressure is usually in the late afternoon. Measure your blood pressure at about the same time every day. How often you record it depends on the severity of hypertension, but I have found that patients who measure blood pressure every day have less difficulty in remembering to do it. Although devices are now available that measure blood pressure automatically and record it every 20 minutes or so, around the clock, most patients don't need to use these expensive devices. Individual drugs in these categories are employed differently. It is usually necessary to use at least two drugs, selecting agents from at least two different categories. 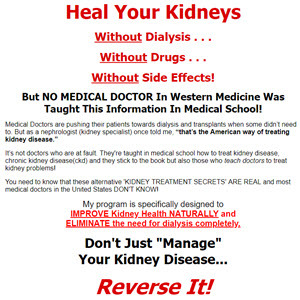 Diuretics are drugs that increase salt excretion by the kidneys. As discussed earlier, there is a strong relationship between blood pressure and body salt content; hence drugs that diminish body salt content tend to lower blood pressure. Dietary salt restriction should be tried first, since giving a diuretic to a subject consuming a high salt intake is folly. As discussed in Chapter 8, I recommend moderate restriction of salt intake in almost all my patients. This includes avoiding foods with high sodium content (such as most packaged foods) and avoiding added salt in cooking or at the table. More severe salt restriction makes food very unpalatable, and caloric intake may decrease. The rare patient has a tendency to lose salt and can become salt-depleted easily. The most widely employed class of diuretics, thiazide diuretics, are not very powerful as antihypertensive drugs. Not many patients' blood pressure can be controlled with a thiazide alone, unless their only problem is salt and water retention. The antihypertensive effect of thiazides may take several weeks to become fully expressed, long after the loss of salt and water has occurred. Clearly thiazides lower blood pressure by more than one mechanism. 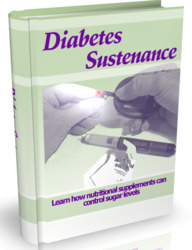 In people with diabetes, thiazides (especially in substantial doses) may increase insulin requirements. They also may aggravate lipid disorders (see Chapter 15) and cause substantial potassium loss. This potassium loss can cause serious heart rhythm disturbances if it is not recognized and treated (see Chapter 12) and may precipitate attacks of gout (see Chapter 14). As noted earlier, however, all of these side effects are dose-dependent and not commonly seen on low doses, which are often enough for the treatment of hypertension. A dose of 12.5 mg per day of hydrochlorothiazide is usually about right, even though no such tablet can be purchased. If you're prescribed this dose, you'll be buying 25 mg tablets and breaking them in half. Chlorthalidone, another thiazide, recently has been shown to be particularly effective in preventing heart failure, at least in people without kidney disease. The most widely used subgroup of these drugs are the so called beta-blockers, meaning that these drugs block a certain group of receptors in the sympathetic nervous system. Atenolol and metoprolol are two of these drugs. They not only lower blood pressure but also slow heart rate, and therefore are particularly useful in conjunction with other drugs that tend to increase heart rate. They do, however, have a huge variety of side effects, which can be troublesome. Alpha-blockers, such as doxazosin and terazosin, which block a different set of sympathetic receptors and do not tend to slow the heart, are also available, and also lower blood pressure. Angiotensin-converting enzyme inhibitors (ACEIs) and angiotensin receptor blockers (ARBs) inhibit the formation or action of angiotensin and are very effective in the treatment of hypertension. ACEIs cause a persistent chronic cough in many patients, which often goes undiagnosed for months; ARBs apparently do not have this effect. The most serious limitation of these two classes of drugs, however, is that they cause potassium retention. As noted in Chapter 12, this is more insidious than potassium deficiency, because there are few if any symptoms associated with potassium excess, which can cause sudden death; it is frequently undiagnosed. Unlike other classes of antihypertensive drugs, these drugs specifically slow the progression of kidney disease by a small but significant amount, above and beyond their effect to lower blood pressure. Calcium channel blockers, relatively new agents, inhibit the passage of nerve impulses through cell membranes. This seems to lower blood pressure quite effectively. Drugs classed as direct vasodilators include hydralazine and minoxidil, which act directly on blood vessels. Unfortunately, all of these drugs have multitudinous side effects, which are often troublesome. In particular, salt and water retention is prominent with calcium channel blockers like nifedipine. Minoxidil causes even more severe salt and water retention; in addition, it makes hair grow (including on the head, which is why it is now marketed as an ointment, Rogaine); this is not troublesome to most men, but can be very distressing in women.